ECOSEA TRAVEL is the leading online booking travel agent in Vietnam. Realizing the dramatic increase of online travel agents in Vietnam; we’ve always trying our best to become the most reliable source and sincere partner for all travelers to our country. 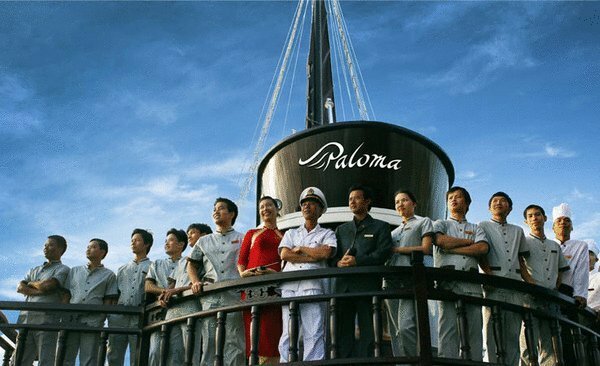 ECOSEA TRAVEL was established along with the development ofVietnam Tourism and Trade. Our duty is to provide business and leisure travelers worldwide with an easy and cost-effective way to book tours, hotels and services online to Vietnam. ECOSEA TRAVEL guarantees reasonable prices for all programs ranging from standard tours to luxurious trips. Our multilingual customer service team and call center provide dedicated assistance to customers. Whenever you’re in need of help, just give us a call and we’re ready to give you a hand. Besides, ECOSEA TRAVEL’s headquarter is located on No 12E Line100 Ho Tung Mau street (see on Google Map), Hanoi, Vietnam. Come to meet us when you’re in Hanoi. We’re always available for you. 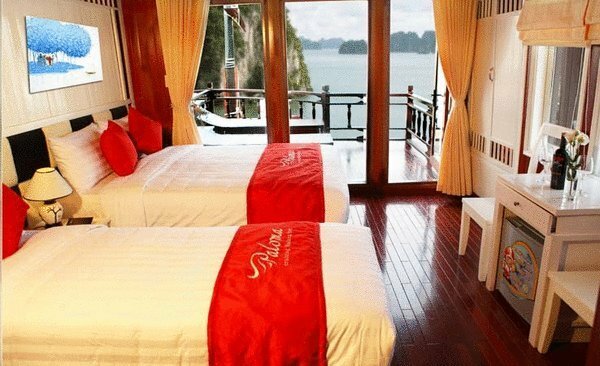 Halong Bay, Halong city, white sandy Beach, Floating Village, Kayaking in Halong Bay Duration: 3 days 2 nights Prince Junk II Prince Junk II Prince Junk II Prince Junk II Prince Junk II Prince Junk II From the time you step aboard, to the time you check-in to your cabin, to when you are relaxing on the sun desk, you are surrounded by teak and oak – all constructed by our skilled craftsman. This makes the Prince, together with our Princess, the outstanding member of our Royal family. Check Rates & avaiablity Adults: Children 0-4 : Infants (0-2) : Departure Date: End Date: Select your accommodation Description The Prince ~ youthful and fun, the family man on the water The Prince was designed after the traditional fishing boats of Halong Bay, only on a slightly smaller scale with either 2 or 4 cabins. Like all of our boats, the Prince is designed with sophistication and a meticulous attention to detail for our guests’ enjoyment, especially their viewing pleasure. The Prince is the perfect choice for families, couples or small groups. 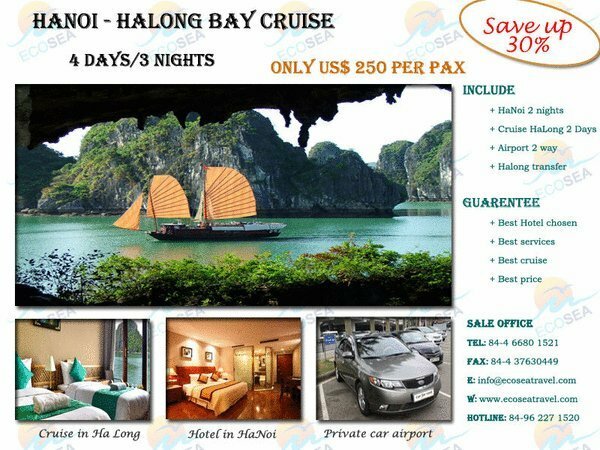 Brief Itinerary Day 1: Hanoi- Halong Dining Room on Prince private Cruise Day 2: Explore Bai Tu Long Bay by Kayak Day 3: Halong - Hanoi Program Detail: Day 1: Hanoi- Halong Pick up from Hanoi at 8:00 A.M and drive to Halong by car or mini bus. On the way, we will stop at Hong Ngoc Humanity center for break. Also visit shops that sell the products be made from disable children. 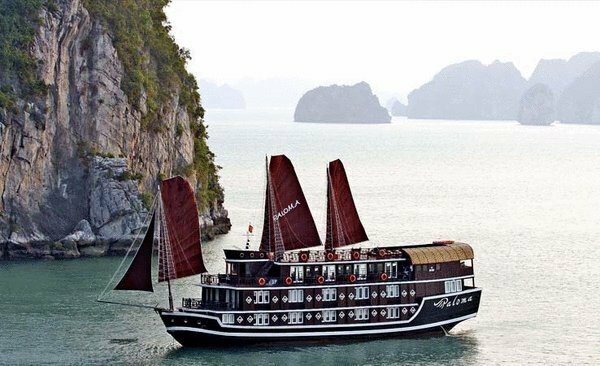 Arrive in Halong at 11:30 A.M. At 12.00, the junk crews welcome guests on board at Hon Gai Wharf. Enjoy welcome drinks and check in Deluxe cabin. Lunch with fresh local seafood while cruising into Ha Long bay. Get to Vong Vieng after 2 hours. Start discovering a wild white sand beach in Bai Tu Long Bay where the guests enjoy swimming, sunbathing or relaxing. Back to Prince junk to enjoy relaxing or the sunset. Dinner and overnight on board Prince Cruise near by Vong Vieng village (or Trinh Nu cave) Day 2: Explore Bai Tu Long Bay by Kayak. Early risers can enjoy the sunrise and the quiet breath- taking beauty of Bay’s landscape. Breakfast on board at 7:30. Start exploring Vong Vieng fishing village and the hidden lagoons in Bai Tu Long Bay by kayak. Paddle to Ba Cua beach where the guests enjoy swimming, sunbathing or relaxing. Have BBQ on beach. Continue kayaking around Bai Tu Long Bay. Back to junk to enjoy relaxing or the sunset. 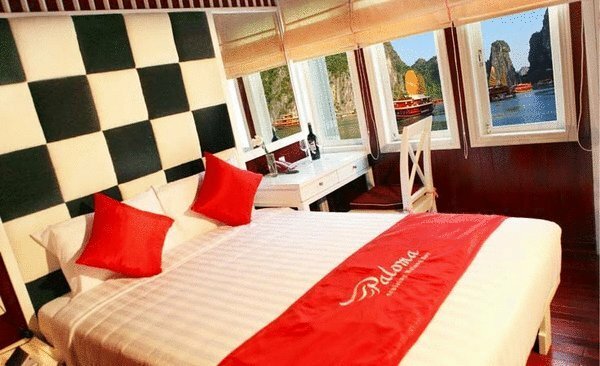 Dinner and overnight on board Prince Cruise Day 3: Halong - Hanoi Early risers can enjoy the sunrise and the quiet breath- taking beauty of Bay’s landscape. From 7.30 to 10.30, Serve Ala carte (Guests can order any dishes in the menu whenever they want). Around 8.00, Start discovering Ba Cua beach where the guests enjoy swimming, sunbathing or relaxing. Back to junk, arrange luggage and check out cabin while cruising back. Around 11.30: disembark. Transfer back to Ha Noi. Prince Cruise II wishes to serve you next tours. 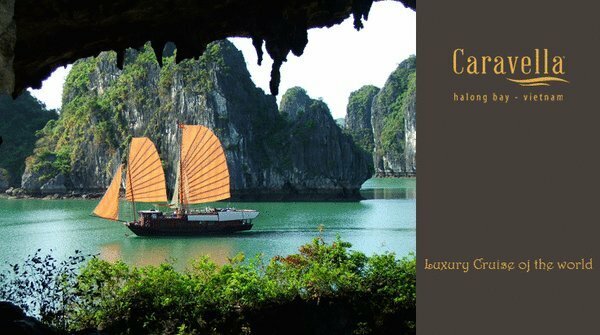 Tour Policy Price Includes Kayaking Service Welcome drink, Tea & Coffee Entrance and Sightseeing Fees Vietnamese Lunch and Dinner, European Breakfast Swimming Equipment Onboard Insurance Price Excludes Transfer round trip Hanoi - Halong - Hanoi by shuttle bus or private car ( your optional) Single Supplement Airfares Visa Arrangements Beverages Tips Personal Expenses and Services Upgrade to private car/ minivan Hanoi Halong Hanoi Bank charge Booking Policy Required Booking Time: From 03 days and uper before arrival Cancellation Policy: More than 15 days prior to check-in: No cancellation charge. From 14 to 2 days prior to check-in: 50% of total rates. Less than 48 hours prior to check-in: 100% of total rates. 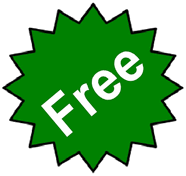 No-Show: 100% of total rates Children Price & Extra Bed: Child under 2 years old: F.O.C. Child 2 - 6 years old, 50% of adult price. Child 6 - 12 years old: 75% of adult price. Maximum 1 child sharing same cabin with 2 adults.